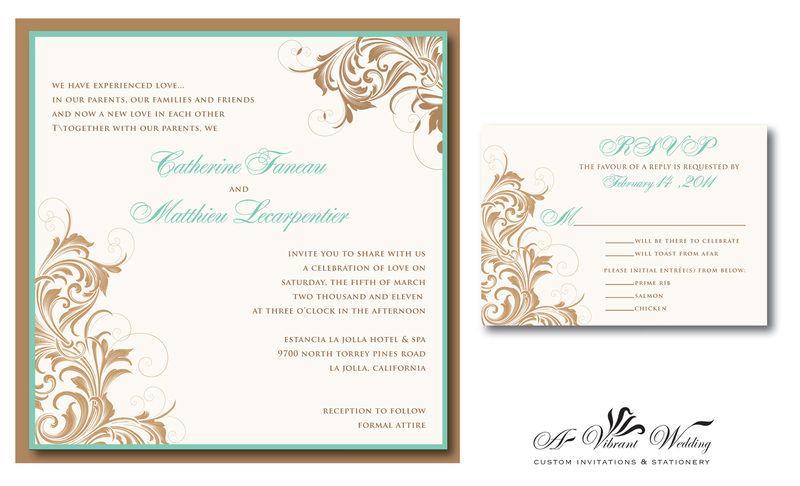 Includes Pocketfold invitation, the Response card and two blank matte envelopes (Ivory or Sage Green). 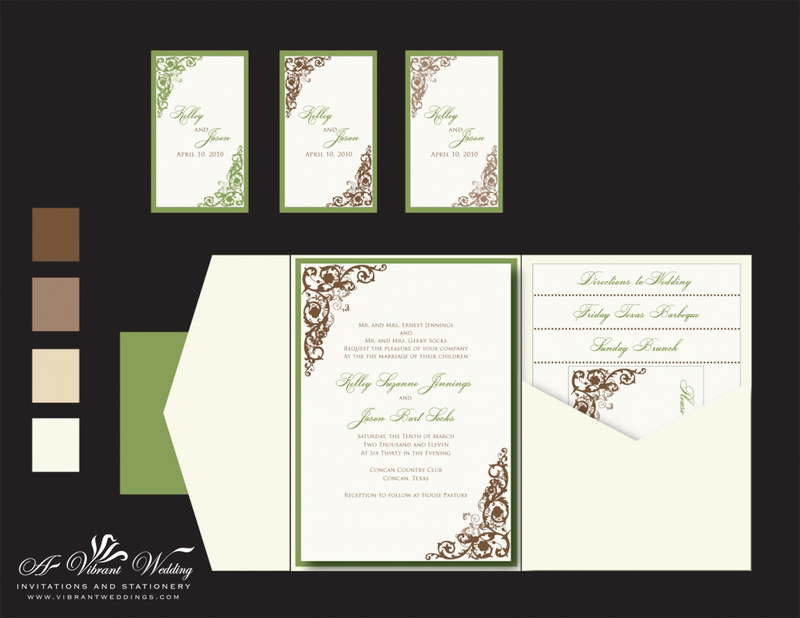 5×7″ Ivory linen matte Pocket fold, Sage Green metallic border card stock paper, printed on matte Ivory card-stock paper. 5×7″ Pocket fold style with outer seal. 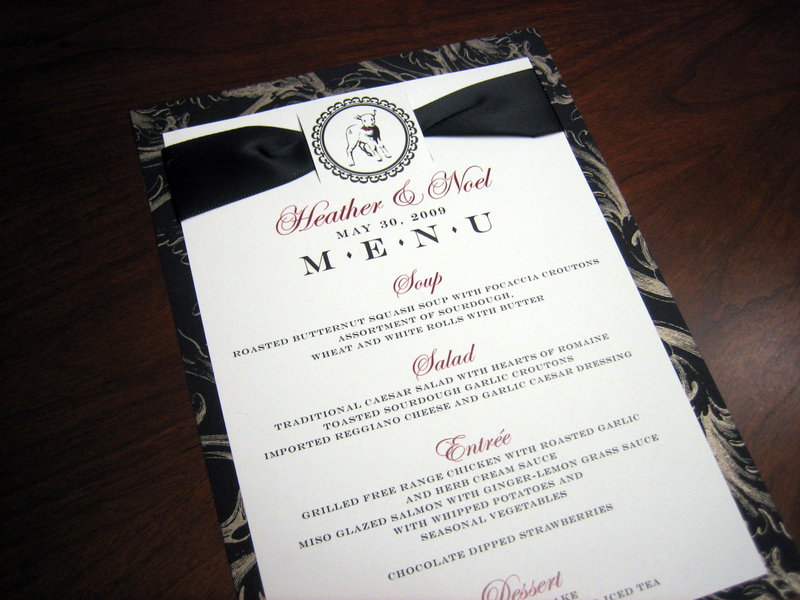 Double layered invitation (two sheets of card stock paper assembled onto pocket fold). 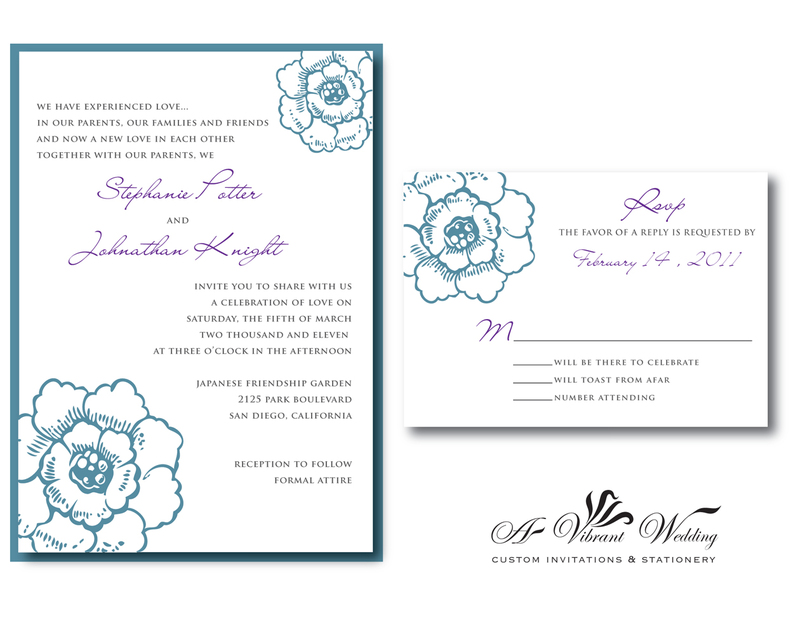 All of our invitations/paper can be customized in color and pocket style of choice. Different pocket orientations and sizes available. 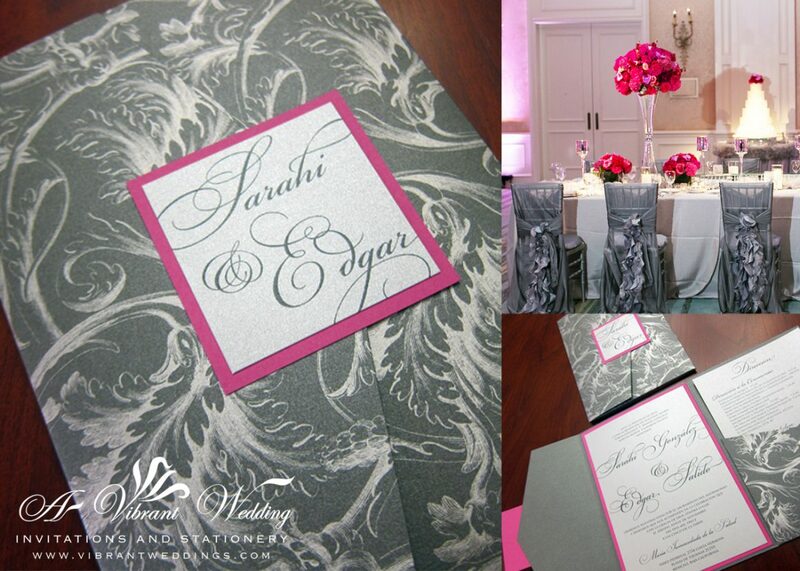 To view our extensive portfolio or to customize your own, please contact us at www.VibrantWeddings.com or (619) 852-6886. 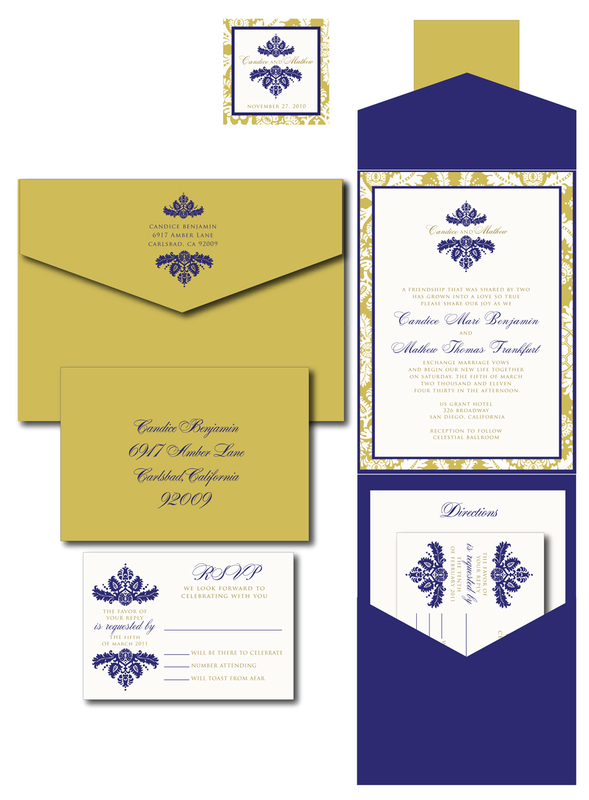 $9.00 per invitation suite. 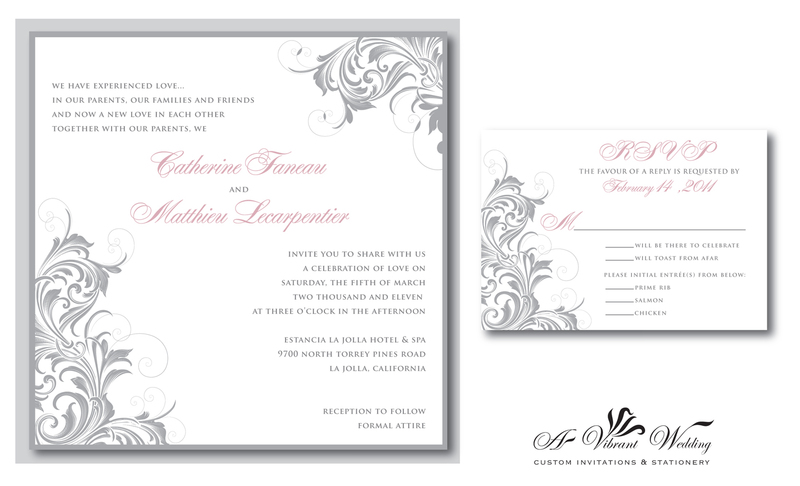 $7.00 per invitation suite without assembly for a set of 100 invitations. 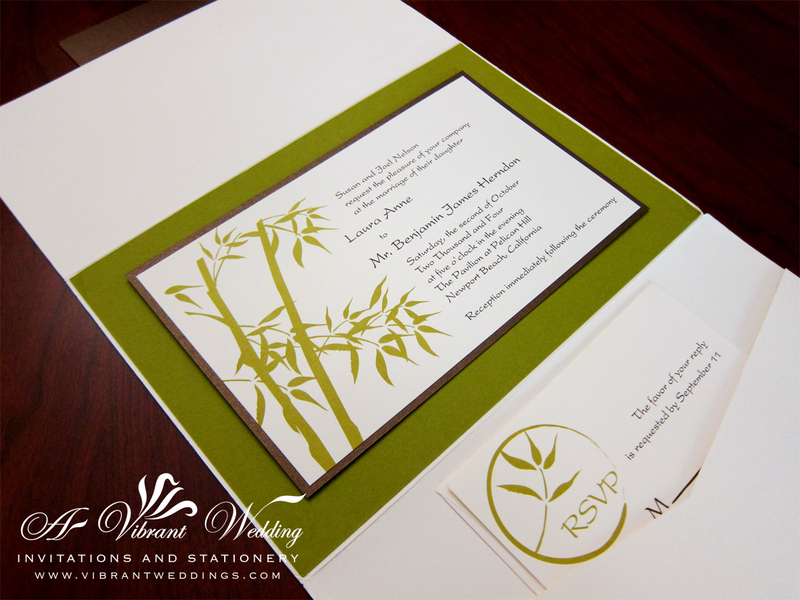 Included: 5×7″ Pocketfold invitation, double-layered printed outer seal, Triple-layered invitation on the inside (3 sheets of paper assembled together). 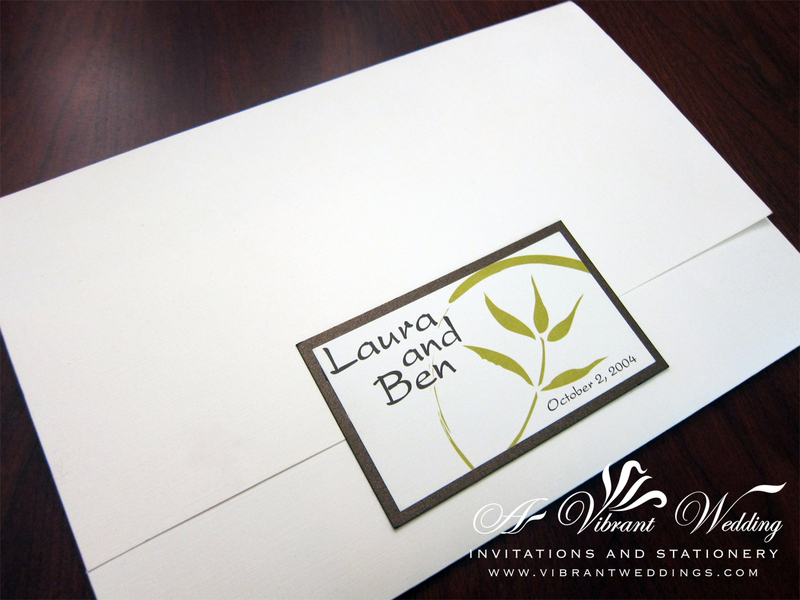 Inside invitation is a combination of metallic shimmery and matte card stock paper, a single sheet Response card, and two blank Matte Envelopes.